A. 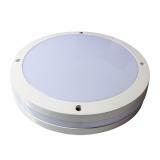 Adopt LM80 LED source with long lifespan. B. Adopt SAA,TUV,CE and SAA LED Driver, very stable, PF > 0.9. 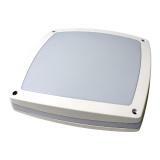 C. Thickness Dia Cast Aluminum and PC diffuser, can IP65 Rated,good heat sink,IK10, can work in -40℃ -60℃. D. Triac Dimmable is available. E. DALI Dimmable is available. 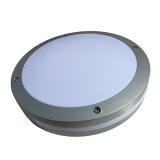 Standby IP65 LED Ceiling/Wall/Bulkhead Light Dimmable Sensor uses integrated Driver,Sensor and Dimmable function together which can adjust hold time, detection area and daylight lux, adopt LM80 LED source,CRI>80,PF>0.9, IK10, high lumen output 72LM / W for commercial lighting, and also a good option to replace traditional 2D Bulkhead Fitting, also approved CE, RoHS, SAA and TUV. Emergency IP65 LED Ceiling/Wall/Bulkhead Light 3 hours can be perfect to work with our Emergency System,30% watts of normal watts can be emergency working 3 hours, not flick, adopt LM80 LED source,CRI>80,PF>0.9,also approved CE, RoHS, SAA and TUV. 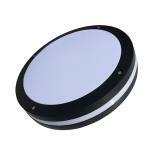 Round LED Bulkhead/IP65 Ceiling Light adopt LM80 LED source,CRI>80,PF>0.9, IK10, high lumen output 72LM / W for commercial lighting, and also a good option to replace traditional 2D Bulkhead Fitting, also approved CE, RoHS, SAA and TUV.